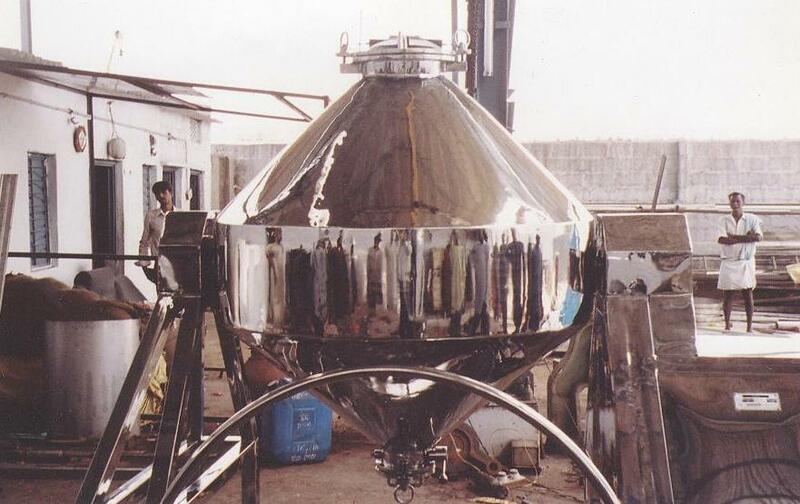 Double Cone Blender (PBXDCB) is ideal for mixing of powders and homogenous lubrication of granules. Cones are manufactured out of SS 316 quality sheet. To enhance the missing, paddle blades are provided on central shaft. Drive motor is connected to a gear box on SS rigid stand. Charging height varies as per the capacities. Suitable opening for charging with SS cover and lock nuts, discharge port is fitted with mucon/butterfly valve which helps to unload powder faster. Pipe guards provided with limit switch interlocking to motor, which ensures safe operation for higher capacities. Two-Thirds of the volume of the cone blender is filled to ensure proper mixing.